Israelis, and friends of the Jewish State alike, are accustomed to the never-ending scorn the United Nations heaps on the Middle East’s only free democracy, never mind its desire for peace with all of its Arab neighbors. It may seem unfathomable then that the very same institution [UN] was ultimately responsible for the creation of Israel. In contrast, the Mandate is the multilateral binding agreement which laid down the Jewish legal right to settle anywhere in the geographical area called Palestine, the land between the Jordan River and the Mediterranean Sea, an entitlement unaltered in international law. The Mandate clearly differentiates between political rights referring to Jewish self-determination as an emerging polity—and civil and religious rights, referring to guarantees of equal personal freedoms to non-Jewish residents as individuals and within select communities. 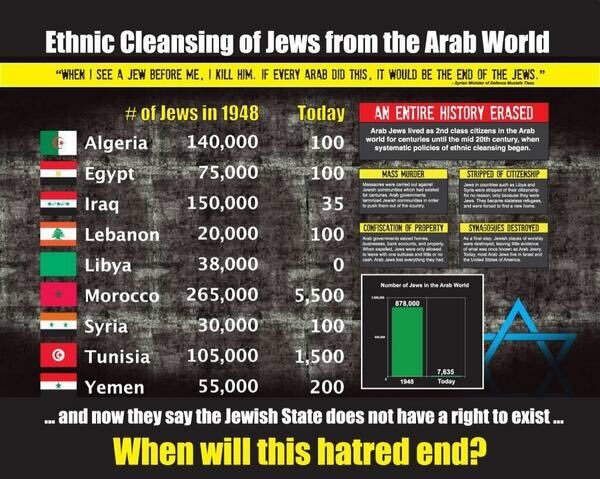 Not once are Arabs as a people mentioned in the Mandate for Palestine. Nowhere in the document is there any granting of political rights to Arabs. Article 5 of the “Mandate for Palestine” clearly states that “The Mandatory [Great Britain] shall be responsible for seeing that no Palestine territory shall be ceded or leased to, or in any way placed under the control of the Government of any foreign power.” The territory of Palestine was exclusively assigned for the Jewish National Home. But Hislop didn’t forget, and Assange promptly accused him – as is the fashion among those charged with making anti-Semitic statements – of engaging in a smear campaign. Those who gave Assange the benefit of the doubt on that occasion were, however, stumped in 2013, when WikiLeaks employee James Ball resigned from the organization precisely because of Assange’s relationship with Shamir, whom he described as “an anti-Semitic writer … and a man with ties and friends in the Russian security services.” Then, in 2016, four years into his residency at the Ecuadorian Embassy, Assange picked up on the social-media meme of placing parentheses symbolizing an echo chamber on either side of the names of Jewish writers. Don’t be fooled by talk of ‘social justice’ and ‘human rights.’ The movement is anti-Semitic to its core. Outrage ensued on social media and university campuses across America this past week when it was reported that the U.S. government had denied prominent Palestinian activist Omar Barghouti entry into the country. Barghouti had planned to come to the U.S. to promote the highly controversial Boycott, Divestment, and Sanctions (BDS) movement he co-founded. BDS supporters claim that they want to put economic pressure on Israel to reach agreement on a peaceful and fair solution to its conflict with the Palestinians, and their message has found increasing traction in the U.S. The controversial Democratic representatives Rashida Tlaib and Ilhan Omar have lent the movement high-profile support. The New York Times Magazine recently published a pro-BDS cover story written by a highly controversial political journalist. Altogether, 31 universities have passed BDS measures since 2015, and, since 2005, 127 such measures have been considered. The truth is that many of the students and activists who support the movement have been duped into thinking they’re supporting a noble cause. In fact, BDS is little more than a ploy established and run by radical anti-Semites who deny Israel’s right to exist and seek to destroy it. Prime Minister Benjamin Netanyahu said Sunday that the International Criminal Court’s rejection over the weekend of a request to investigate the actions of American soldiers in Afghanistan was good news for Israel, and thanked US President Donald Trump for vowing to defend Israelis investigated by the court. Speaking at the start of the weekly cabinet meeting, Netanyahu said the original purpose of the Hague-based court was to try genocides and ethnic violence in states without proper legal systems, unlike democracies such as the US and Israel. “They are picking on the US and Israel, democracies — which by the way aren’t members of the ICC — but we definitely have the best justice systems in the world. They are exceptional, because there are very few like them,” Netanyahu said, according to a statement from his office. “To put on trial US or Israeli troops, or the State of Israel and the United States, is absurd. This is the opposite of the original purpose of the International Criminal Court,” he added. The judges ruled against the court’s prosecutors, saying that despite evidentiary material showing that Americans carried out war crimes in Afghanistan, their prosecution would not serve justice. The judges also noted that there was no point in pursuing an inquiry because of the time that had passed since the period in question (2002-2004). The decision was handed down after the U.S. revoked chief prosecutor Fatou Bensouda’s visa and denied entry to other court officials. The ICC’s attempt to create a multilateral global order was shown to be what it is – a theater of the absurd (also known as the United Nations) that doesn’t even come close to matching the power of the U.S., the world’s leading superpower. Trump is redefining the rules, ensuring that tyrants will no longer be able to abuse such multilateral institutions to prop up their regime. He has also reiterated his pledge not to let the ICC prosecute Israelis and troops from other U.S. allies. The Palestinians and their allies should take note of what Trump said; they would be ill-advised to ignore his threat to punish the court if it took action against Israelis. Trump is implementing the Iron Wall doctrine that was articulated by the late leader of Revisionist Zionism, Ze’ev Jabotinsky, not just vis-à-vis the Arabs but globally. Trump is waging a campaign against all those who have tried to co-opt the U.N. for their own destructive agenda. Brazilian President Jair Bolsonaro said Thursday that his country will no longer “rig” its vote at the UN Human Rights Council and will instead vote “in line” with the positions of Israel and the United States, Brazilian daily Folha de S.Paulo reported. Brazil will no longer vote with “Venezuela, Iran, and Cuba, countries that have no appreciation for freedom,” Bolsonaro reportedly said. In June, the US announced its withdrawal from the Human Rights Council, branding the global body a “cesspool of political bias,” particularly over its treatment of Israel. Israel has never been a member state of the Human Rights Council, whose 47 members are elected by the UN General Assembly. The council’s controversial Agenda Item 7, a permanent fixture on the schedule, is exclusively devoted to discussing alleged Israeli rights abuses in the West Bank and Gaza Strip. Israel is the only country with a dedicated council item. Item 7 on “Israel and the Occupied Palestinian Territories” has been part of the council’s regular business since 2007, almost as long as the council itself has existed. Last month, Brazil joined European Union nations and Japan in voting against Item 7 after years of abstentions or votes against Israel at the council. “To the people of Israel, I wrote in the guestbook of the Yad Vashem museum in Jerusalem: ‘Those who forget their past are doomed to not have a future.’ Therefore, any other interpretation is only in the interest of those who want to push me away from my Jewish friends,” Bolsonaro wrote, according to Shelley. “Forgiveness is something personal. My speech was never meant to be used in a historical context, especially one where millions of innocent people were murdered in a cruel genocide,” Bolsonaro added via Shelly’s post. An Israeli delegation has canceled its participation in a business conference in Bahrain amid security concerns, organizers of the congress said Sunday. At least three Israeli speakers, including the Israel Innovation Authority’s deputy chief, Anya Eldan, were scheduled to speak at the Global Entrepreneurship Network in Manama that starts Monday, according to the forum’s website. Last month members of the Bahrain parliament said they were against hosting Israeli speakers in the nation, which — like most Arab countries — does not recognize the Jewish state. Louis Farrakhan believes himself to be the sole advocate and leader of black people in the US, and even on a global scale. Unlike many radical or reactionary leaders, he’s very articulate and probably the most charismatic of them all. His manner of speech is very attractive, intelligible, eloquent, and intriguing. It’s easy to see how black people from all walks of life could get hooked by his words. Additionally, Farrakhan is very relatable: He was raised by a single mother, and doesn’t know much about his father, and he and his family struggled financially while he was growing up. He’s also very talented; he’s an excellent violinist and doesn’t have a bad voice. Over the years, Farrakhan would speak to African-American crowds without a filter, letting them know that it’s OK to hate, especially if their hatred is directed at the white man and Jews. Regarding the Jews, his mad obsession is very plain. Think about it: How many rabbis on any given Shabbat spend more than a fraction of a second discussing Farrakhan or the Nation of Islam? But all Farrakhan talks about is Jews. He’s not only madly obsessed with Jews, but his hatred likely stems from his deep jealousy of us. Jewish congregations throughout North America and the rest of the world boast scientists, lawyers, CEOs, Nobel Prize winners, etc. But how many of those can the Nation of Islam claim? Many people dismiss Farrakhan as a fringe lunatic — but that is a very dangerous game. Conservatives let her have it. “There’s something deeply disturbing about AOC making Holocaust references to defend an open and unrepentant anti-Semite who is merely being criticized,” posted commentator Ben Shapiro. Embattled leader of the UK Labour party Jeremy Corbyn admitted behind closed doors that evidence of anti-Semitism in his party may have been “mislaid, ignored or not used,” the Sunday Times revealed after obtained a leaked recording. Corbyn reportedly made the comments in a secretly recorded conversation with Jewish MP Dame Margaret Hodge in February of this year, where the two were said to be discussing the accusations of anti-Semitisms engulfing the party and its leadership. The Times described the comments as “the first time Corbyn has cast doubt on his own staff’s ability to tackle the problem [anti-Semitism]” that has dented the party’s reputation for the past few years. West Ham United Football Club has said that it will ban for life any fans that it manages to identify from a video in which football thugs can be heard chanting on public transport: “We’ll be running around Tottenham with our willies hanging out, singing ‘I’ve got a foreskin, haven’t you, f***ing Jew’.” Tottenham Hotspur Football Club has traditionally enjoyed the support of a large number of Jewish football fans. Sussex Friends of Israel have distributed a disturbing clip from a video produced by Tuvia Tenenbom. He is seen talking with republicans in Northern Ireland. Although it is in English (with German subtitles) I have taken the liberty of adding English subtitles as it is quite hard to understand everything being said. 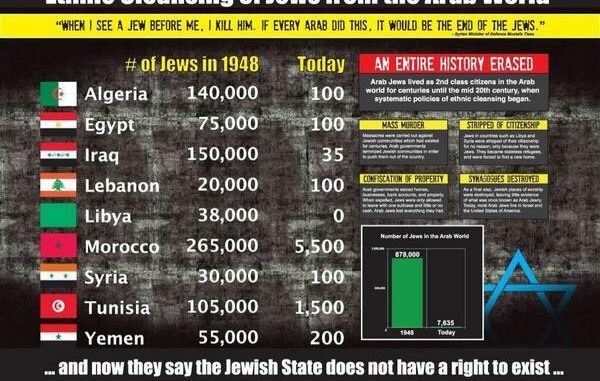 The key message – “We support the Palestinians because they’re against the Jews…Hitler didn’t kill enough Jews” pretty much sums up the rationale of most ‘anti-Zionists’. Of course no need for the Board of Deputies to comment about this as it doesn’t involve any ‘Islamophobia’ and it’s all just perfectly legitimate criticism of the Israeli government ……. The Peel District School Board (PDSB) says it’s investigating after a sign posted in the hallway of a Mississauga high school appears to suggest Israel is conducting pharmacological testing on Palestinians. A picture of the large sign at Stephen Lewis Secondary School was posted on the Centre for Israel and Jewish Affairs (CIJA) Facebook page Friday afternoon. The group called the poster anti-Semitic. “If animal testing is NOT OKAY… Then why is human testing OKAY? #ProtectPalestinianPrisoners,” the sign said, along with what appears to be a website QR code. The only Twitter account to have used the hashtag written on the poster is one called Protect Palestinian Prisoners and has the biography line “Palestine Lives Matter.” The account mainly follows several Stephen Lewis school accounts, such as the school’s main account, the athletic council, the school’s arts and music program-related accounts. There were two tweets using the hashtag on the sign. It’s been a “reaffirming” few days for Fox TV star Jude Demorest, currently in Israel with her baby, Judah, mother and a friend. Demorest plays the title character in “Star,” a Fox TV drama about a young teenage runaway (played by Demorest) that is rated the second highest drama on the network. She is also a devout Christian, “as committed as an adult to Christianity as when I was a child,” said Demorest, who is in Israel as a guest of the Ministry of Jerusalem and Heritage and America’s Voices in Israel. “Being a Christian, I’ve been waiting to understand what it was that Jesus was seeing and feeling,” said Demorest. Israel on Saturday dispatched a team of firefighters to help squelch a blaze raging in Ethiopia’s Simien Mountain range. The delegation, which landed in Addis Ababa Sunday morning, consists of 11 firefighters and rescue officials, including an expert in aerial firefighting, according to Israel’s Fire and Rescue Service and the Foreign Ministry. It is being led by Zion Shenkar, who was born in Ethiopia and was the Israel Defense Force’s first-ever battalion commander from the Ethiopian community. The Foreign Ministry said Prime Minister Benjamin Netanyahu ordered the team be assembled after receiving a request for aid by Ethiopian Prime Minister Abiy Ahmed during a conversation Friday. The Simien Mountain fire has been burning for several days, and is the second major fire to strike the lush highlands in the country’s north in two weeks. The mountains are near the city of Gondar, home to most of Ethiopia’s remaining Jewish community. Emotional: Israeli anthem played at funeral of Michel Bacos, Captain of Air France flight that was hijacked to Entebbe in 1976 by Palestinian terrorists. He stayed with the Jewish hostages, and refused to leave them.